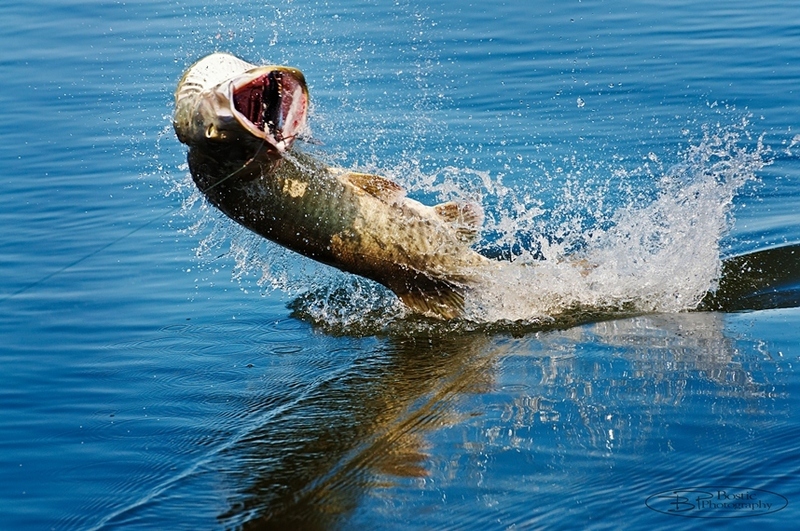 The best part about muskie fishing is that every encounter leaves a memory. They are an exciting fish and they never dissapoint. Every catch is burned into our memory banks and the drama that plays out can be retold over and over again. It's magical how our mind can retain each experience. The thrill of the encounter is life changing, and here's why I know this is true - I can meet a stranger and talk with him for 20 minutes. We can talk about the weather and the latest Minnesota Vikings game. In less than one hour my mind will have forgetten the stranger's name, and probably have no idea what we talked about. But, I can tell you every detail of the first muskie that I caught in 1999. It was early August. I was burning a small black and silver mepps muskie killer over shallow sand in 3 feet of water. The conditions were cloudy with strong wind (perfect). My good friend, Dusty Gesinger, was standing in the back of the boat and I was running the trolling motor up front. We were fishing out of his dad's 14 foot Sea Nymph and I was casting from the wooden platform that we built in the front. I was burning the small black bucktail as fast as I could through the waves and a mouth appeared from behind. Crashing through 10 waves, the huge mouth finally caught up and engulfed my bucktail. It couldn't have been 15 feet from the boat. After 2 jumps and several hard pulls I hand landed the beast. The tape measure read 50 inches and I was without a camera. Still, I remember every detail like it just happened 20 seconds ago. And, I'm not alone. Dusty just retold this same story a few days ago. Proof that this muskie made an impact. Since then I've burnt countless stories into my mind. 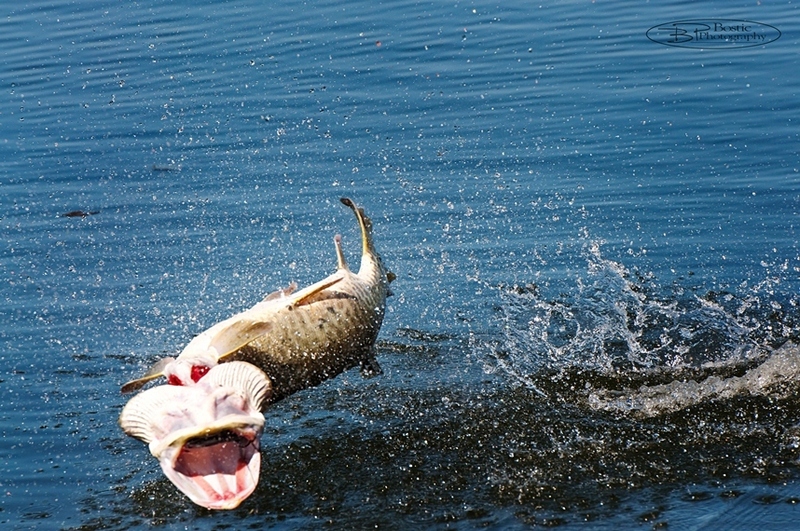 Every muskie encounter is unique in their own way. A few days ago I had my good friend, Mike Ernst, along to try to photograph a muskie memory for my clients, Jim and Allen. It took us a few hours, but we accomplished our goal. Allen caught his muskie, and Mike captured the memory. Thanks to Mike's camera skills, part of the memory can be shared. I hope you enjoy this rare sequence of Allen's muskie memory.